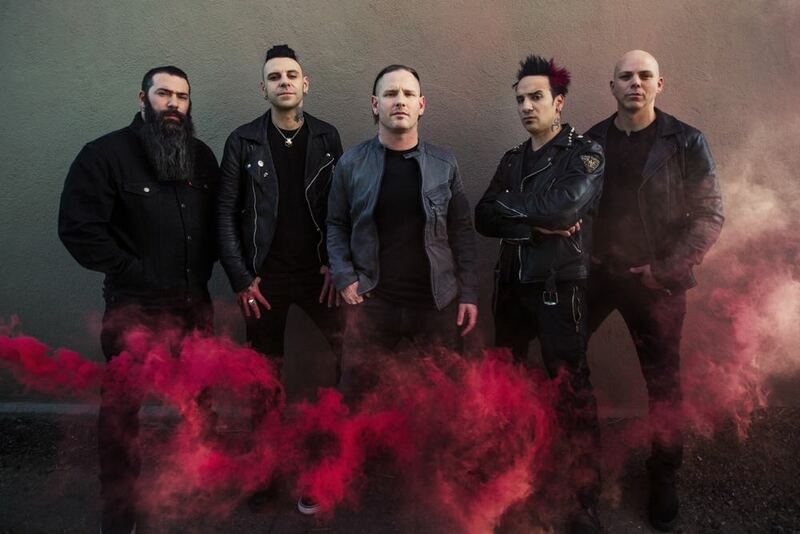 Touring in support of their latest album, the groove-heavy Hydrograd, Stone Sour descended upon Australia via a stint in New Zealand to an enthusiastic crowd in Sydney. For the uninitiated: Stone Sour was Corey Taylor’s original band, predating his Slipknot incarnation, and has been his vehicle on and off since 1992, resulting in a back catalogue of six albums each of which was revisited in tonight’s performance. While one could argue that bands in masks try to deliberately create another layer of distance between the audiences and them, it is refreshing to see how engaging Taylor is with his original band: Working the stage, heavy on banter and both effortlessly and passionately playing the emotional claviature of Stone Sour’s diverse offerings seamlessly shifting from screaming to singing and back, from stripped down acoustic numbers to their heavier songs that give a nod to thrash metal with double bass drum patterns. Backed by a band of solid musicians comprised of Roy Mayorga, (ex-Soulfly), Christian Martucci, knows for his collaboration with Dee Dee Ramone and the duo Johnny Chow and Josh Rand, the show culminated in the band being joined by brightly coloured air dancers, known from their recent video "Fabuless" with a streamer / confetti gun being made use of extensively. Stone Sour’s show was an ambitious display that proved that the band has always at times been considered to be a mere side-project, is a powerful entity in its own right that is still evolving and pushing forward with their sound, not being stuck with reaching for the tested, lower hanging fruit.